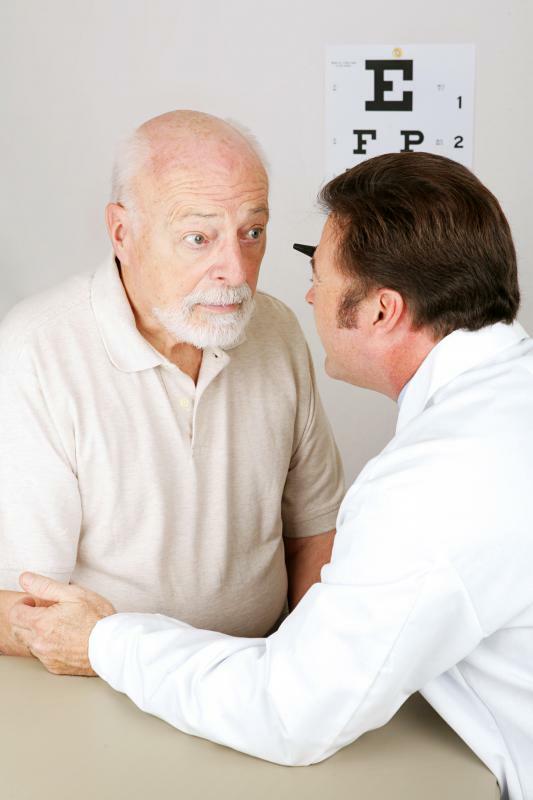 How do I get Ophthalmology Training? An ophthalmologist examines a patient's eyes. Someone who wants to work as a technician is typically required to possess a high school diploma and a certificate from an accredited ophthalmology training program. Ophthalmology training consists of coursework on eye anatomy. Opthalmalogists must complete years of school before becoming licensed. Ophthalmology is a medical specialty that focuses on diagnosing, preventing, and treating various types of eye diseases and disorders. Trained ophthalmologists prescribe medications and perform surgery with the assistance of skilled technicians and technologists. In order to pursue a career in the field, an individual must undergo extensive, detailed ophthalmology training programs. Most technicians and technologists receive ophthalmology training by completing one to two years of classroom and practical instruction, while licensed ophthalmologists must obtain doctoral degrees in the specialty and complete residency programs at hospitals, eye clinics, or private practices. An ophthalmic technician is usually responsible for greeting new patients, collecting paperwork, preparing testing rooms, cleaning offices and testing materials, and answering questions about treatment procedures. 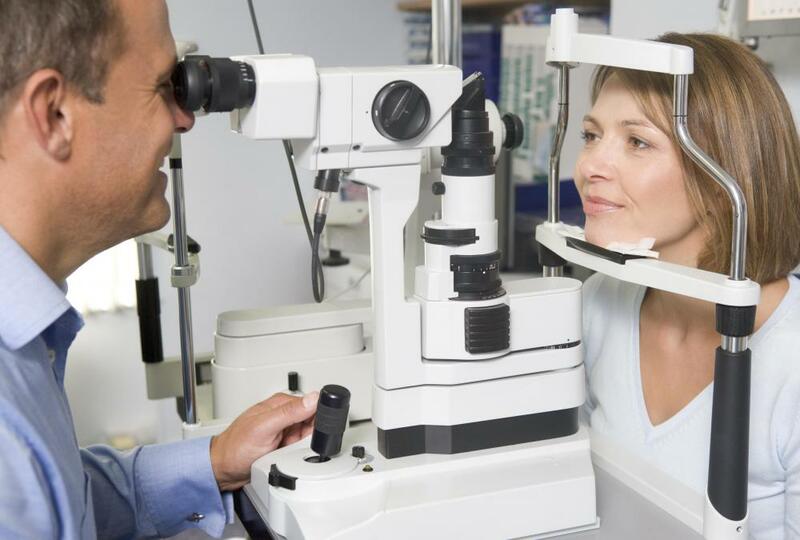 An individual who wants to work as a technician is typically required to possess a high school diploma and a certificate from an accredited ophthalmology training program. In the United States, such programs are recognized by the Commission on Accreditation of Allied Health Professionals (CAAHEP). Technician training usually takes about one year to complete, and involves detailed coursework on medical terminology, eye anatomy, physiology, and ethics. Many professionals in the field work as technologists, who conduct basic eye tests, screen for diseases and disorders, and assist ophthalmologists in surgical procedures. 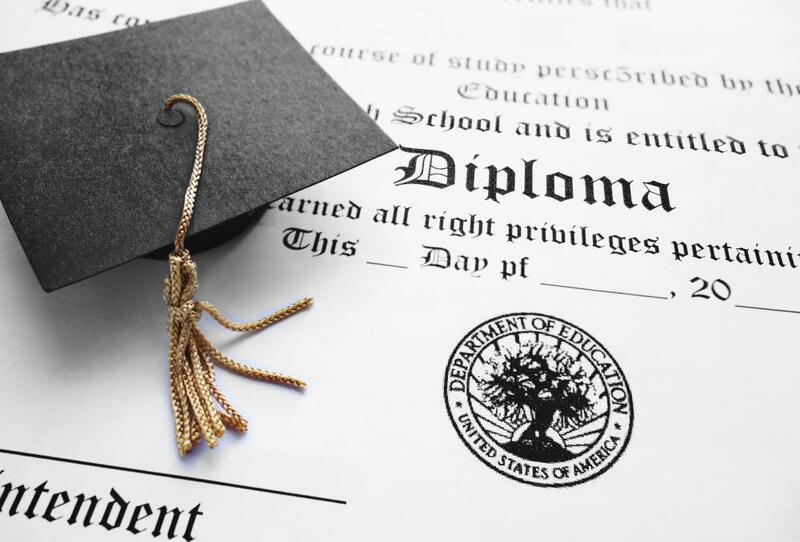 Technologists are typically required to obtain two-year associate degrees from community colleges that are accredited by the CAAHEP in the United States or a similar organization in another country. After completing coursework, technicians are granted certificates and allowed to engage in hands-on ophthalmology training directed by experienced professionals in a clinical setting. After one to six months, most new technologists can begin working unsupervised. Ophthalmologists are licensed physicians or surgeons who have completed extensive educational and practical training requirements. Most hopeful doctors must complete four-year premedical programs and four to five years of medical school. After graduation, a physician or surgeon usually participates in a one-year internship or residency in a hospital setting, where he or she practices general medicine under the guidance of experienced medical professionals. An individual then takes up a three to four year specialized residency program in an ophthalmologist's office or eye care clinic. In addition, new doctors must pass rigorous licensing exams administered by their state or country before practicing independently. An individual who wants to find out more about ophthalmology training programs can speak with career counselors or visit the CAAHEP website. Many community colleges and training schools staff advisers who can help people decide on appropriate programs and obtain financial assistance. Job possibilities are generally very abundant for professionals who have received appropriate training and want to make a positive difference in people's lives. What is the Optic Cup? What does an Ophthalmology Technician do? How do I Become a Pediatric Ophthalmologist? What does an Ophthalmologic Surgeon do? How do I Become an Ophthalmic Assistant? "How to Get that Training Post in Ophthalmology" is a small handbook that is available now, which gives advice on improving your chances of getting into ophthalmology training, particularly for the UK. May be worth reading for those who are interested.